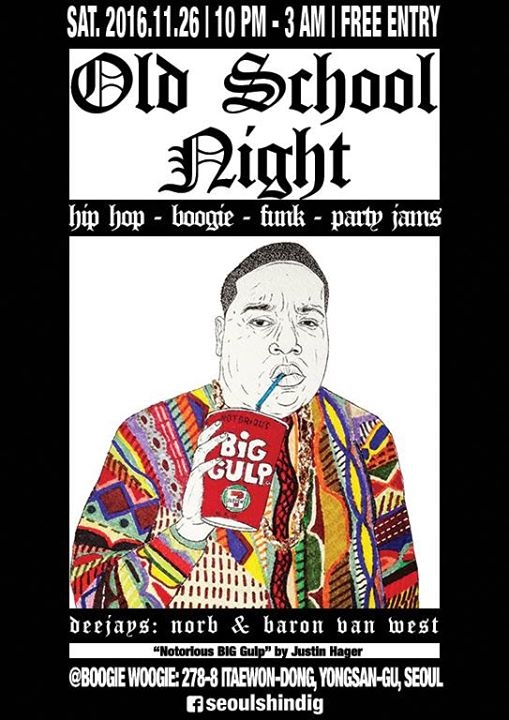 Old School Night brings you the cream of the crop of 90s hip hop, 80s electro funk, soulful old school party jams and everything in between. Put your dancing shoes on and step to the beat! DJs Norb and Baron van West will be behind the decks blasting Dr. Dre, Snoop, Prince, Parliament, Tupac, Biggie, Grandmaster Flash, Michael Jackson, R. Kelly, Too Short, NWA, Naughty By Nature, the Beastie Boys, DMX, Tom Tom Club, Sugarhill Gang and so much more!